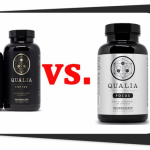 Qualia Focus vs. Alpha Brain presents two nootropic products for people who want to enhance their cognitive capabilities using natural ingredients. Qualia Focus is a vegan formula which gives you pure and clean nootropic benefits. In contrast, Alpha Brain contains earth-grown nutrients to support your memory, focus, and processing speed. Is one nootropic stack better than the other? Let’s find out in this review. Contains no egg, fish, shellfish, dairy, peanut, tree nuts, wheat. Qualia Focus and Alpha Brain are both natural nootropic stacks which provide essential nutrients and plant-derived bioactive compounds for your brain. How are Qualia Focus and Alpha Brain formulas similar? Qualia Focus and Alpha Brain both provide the same form of alpha GPC and l-theanine. However, Alpha Brain didn’t list the dosages of these ingredients on the supplement facts. On the other hand, Qualia Focus provides adequate dosages for both alpha GPC and l-theanine (which are potent nootropic ingredients). At first, you might think that these formulas are quite similar. But if you look closely, these ingredients also have differences. Look no further than transparency and ingredient forms. Qualia Focus has the edge in these two areas. 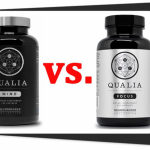 How are Qualia Focus and Alpha Brain formulas different? 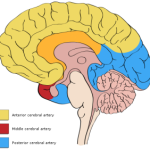 Qualia Focus and Alpha Brain may have similar ingredients. However, Qualia Focus provides better ingredient forms. Alpha Brain hid the dosages of most of its ingredients. Based on the dosages of the individual proprietary blend, Qualia Focus might provide better dosages for the similar ingredients. In addition, the advanced ingredient forms of Qualia Focus are more potent and absorbable. This bodes well for better long-term results. Segue, these two formulas have different ingredients, too. 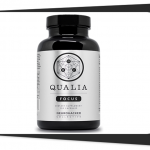 Qualia Focus provides adequate dosages to enhance your overall cognition and focus. On the other hand, Alpha Brain uses proprietary blends which hide the dosages of most of its ingredients. This literally means that you just have to trust the manufacturer to give you adequate amounts of these ingredients. Our take? It is not good enough. We want to know the dosages of each ingredient in Alpha Brain to determine if they work or not. Moreover, Alpha Brain’s AC-11® (Uncaria tomentosa extract) and l-leucine components aren’t exactly nootropic ingredients. Uncaria tomentosa goes by the monicker “cat’s claw.” It is a Peruvian herb which helps boost immunity and ward off free radicals. For its part, l-leucine is the most anabolic amino acid which helps kickstart the muscle protein synthesis process. You can find it in many protein, post-workout, and BCAA supplements. 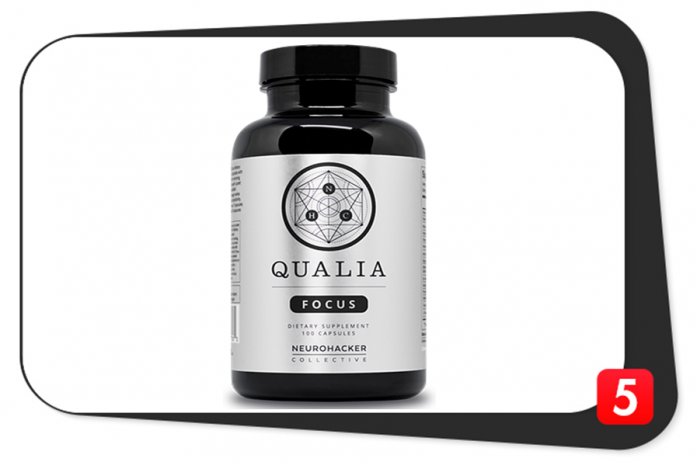 Qualia Focus is a premium nootropic formula which uses science-backed ingredients to enhance your cognitive abilities. Its ingredient forms are fairly potent. In fact,Qualia Focus even provides some of its components in potent dosages. Moreover, its nutrient combination is better than Alpha Brain’s. Therefore, Qualia Focus’ formula is better. In addition, the forms and dosages of the Qualia Focus’ advanced ingredients benefit your mind. Advanced Delivery No. Plain vegetarian capsule. No. Plain vegetarian capsule. In this quality comparison table, it is clear Qualia Focus contains high-quality ingredients while Alpha Brain only contains plain ingredient forms. Both formulas provide vegetarian capsules which are mostly clean with minimal synthetic additives. Qualia Focus contains a small amount of stimulants which it derived from a branded coffee extract. We’re confident this won’t cause jitters. On the other hand, Alpha Brain is stim-free which is ideal for people who are sensitive to caffeine and other stimulants. Overall, the formula of Qualia Focus is better than Alpha Brain’s. These prices for Qualia Focus and Alpha Brain are from the manufacturer’s website in 2018. If you want to shop around for a better deal and save, you can also buy these formulas online and from selected retail stores. These include GNC, Amazon, and Bodybuilding.com. They may or may not have better prizes for these nootropic supplements. Alpha Brain contains plain ingredient forms which are less potent than Qualia Focus’ components. 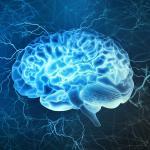 Nevertheless, Alpha Brain still provides some cognitive benefits for you. However, it sacrificed ingredient quality and probably dosage to maintain its low price. Qualia Focus is expensive because of its advanced ingredient forms. The manufacturer provides these in adequate dosages. In terms of pricing, Alpha Brain is cheaper than Qualia Focus. However, Alpha Brain’s ingredients are not as good as Qualia Focus’. They aren’t worth the savings because Alpha Brain’s plain ingredient forms are a lot less potent than Qualia Focus’ advanced forms and standardized extracts. 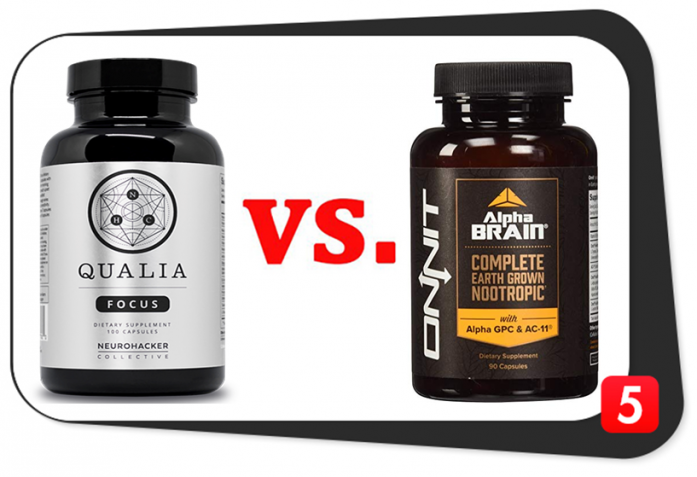 Qualia Focus vs. Alpha Brain: Which is Better? Qualia Focus is clearly better than Alpha Brain. The formula of Qualia focus contains more ingredients which benefit your brain. Alpha Brain is a good nootropic stack which also works. However, the formula of Qualia Focus works better than Alpha Brain’s plain ingredients. In addition, Qualia Focus is a premium supplement with good customer service and return policy. This makes us believe it is effective. In fact, Qualia Focus has better user reviews than Alpha Brain. The former is slightly more expensive than the latter. However, it is understandable because it contains more ingredients in better forms. Overall, Qualia Focus is the better supplement.